Hi all! Hope you are all well! Back in September, I shared some Unique Ways to Announce a Pregnancy and I told you that I was expecting our 5th child in March. I told you that I'd reveal the gender when I found out. 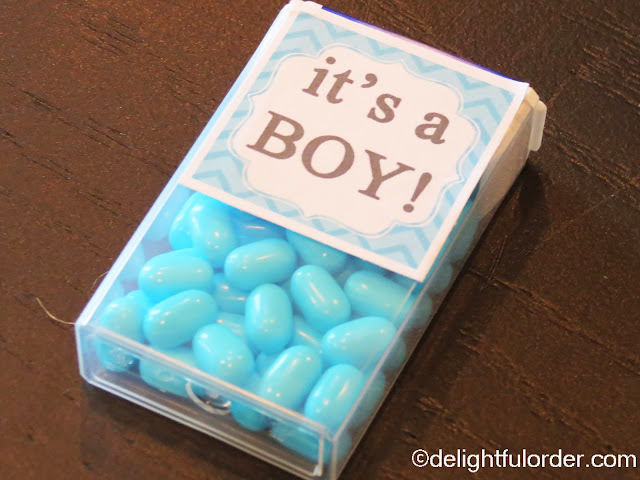 Well, well... last month I found out what I'm having and came up with a fun way to reveal it to my boys and our family and friends. I had my ultrasound (and found out what it is) while my boys were at school. 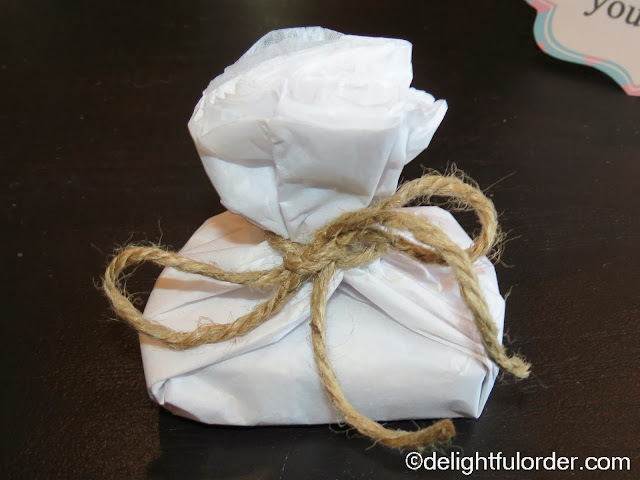 I came home and wrapped some "prizes" with tissue paper and ribbon. I made this fun little sign for my basket. When the boys got home from school, we gave them their prizes to open. This is what they unwrapped! 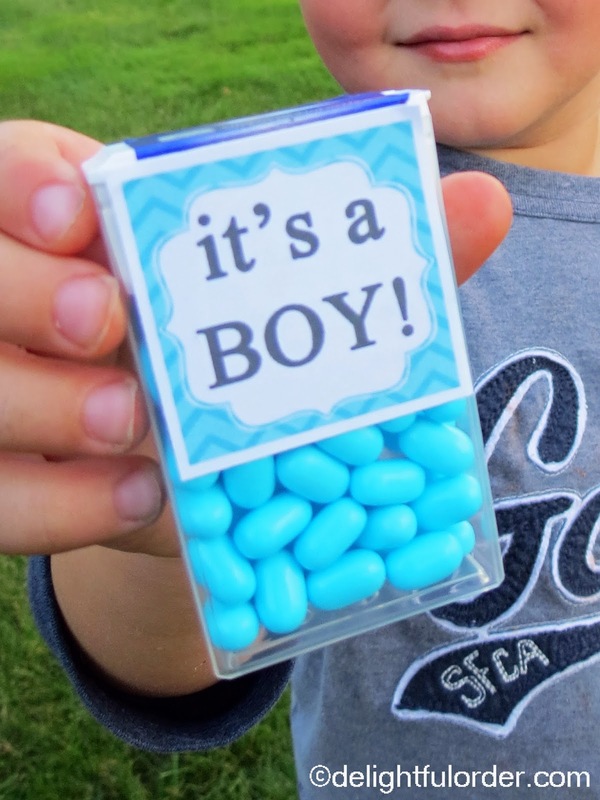 Blue tic-tac's with an "it's a BOY!" label attached. I just made the label and glued it on top of the tic-tac label. There are pink tic-tacs out there too, because my hubby picked up both that morning. In my opinion, the pink ones taste much better than the blue ones. Yep, you saw that right! Come March, we will have our "5 guys" (like my husband says) AND to celebrate, we went to Five Guys Burgers & Fries the night we found out! That's it! 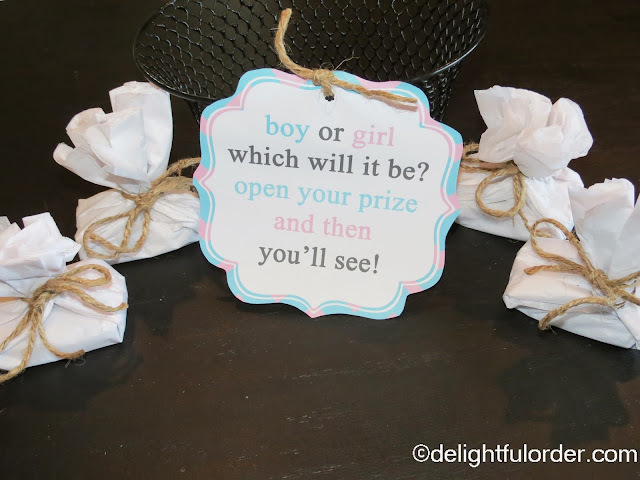 That's my fun way to reveal our baby's gender. Congrats on your soon to be "son". 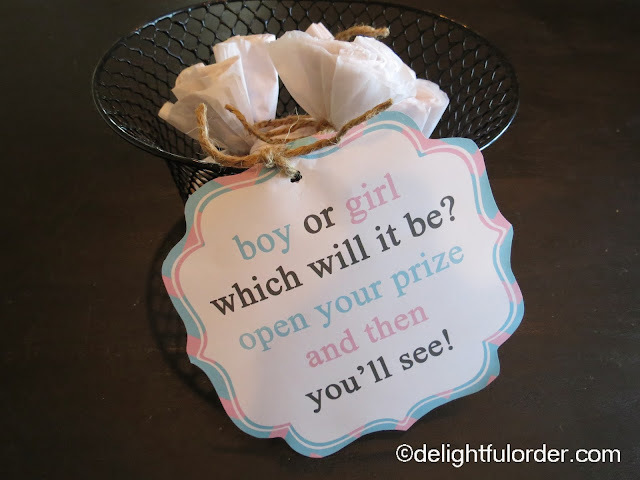 For some reason, I was convinced you were having a girl even though the odds clearly weren't in my favor:) I love the way you announced it to the boys. I am sure they will remember this once they grow up. Announcing it in such a special way also shows the value you place on human life....that is beautiful. I always wanted three boys myself. I had three nieces and I think I was just ready to purchase some boy things at that point. My son was born severely disabled with special needs but such a joy. We decided not to have any more because my son's medical needs were so great that I knew I couldn't be at home and at the hospital. Today my son is 22 years old, he is non-verbal and requires total care. He has a great smile and does understand, although limited. I could not ask for a nicer or finer son. I tell him that we wanted more children but that I knew I wanted to take care of him and I knew he needed his Mom so we didn't have more. I tell him all the time that I love children and he especially likes when I tell him that story. He smiles every time. Looking forward to seeing your current house tour. I've enjoyed your tours. I can totally see how your style has changed. Your style is very elegant and Old World (like mine) and the other styles were nice but didn't suit you as well as your current style. How exciting to have another baby in your home. Looking forward to the nursery! Ohhhhhhh! Congratulations! I have four boys myself and if we would have had another, I would have picked another boy. They are so darn fun. I do secretly hope for granddaughters someday though. :) Enjoy your almost football team. Congrats on the 5th! We have 5 too!